What should an ideal Portfolio of Stock traders contain? What should an ideal Portfolio contain? With the start of a new government term a month ago, investors have high hopes of this government in terms of economic valuations. While a large sight of the masses has started investing, a large group is yet waiting to kick start their investment journey. They are still waiting to get an answer to the question: How to build an ideal portfolio? We will lecture about some major components of a portfolio and the investment guidelines and how every portfolio varies from investor to investor. This is the most luring component of a portfolio. It benefits investors who are willing to take high risks to gain good returns on their investment. It is really significant to invest across various industries which are anticipated to rise in time to come. Ideally an investor should invest in 15-20 companies across 8-10 different industries, but then it all depends on an investor’s appetite of holding risks. This is one of the safest component in a portfolio. An investor who doesn’t desire to risk much and needs an assured take on his investment should invest heavily in debt. Debt securities can be government bonds or corporate bonds. Investment depends on the credit quality of the bond issuer. A high return bond will have relatively more risk than a lower return bond. This is common investing scheme which serves the twofold intent for an investor: Savings from rents and a lift in the property price. The returns are highly uncertain and depends on the type of the property as well as its locality. An investor who is unsure on where to invest and has basic financial knowledge should opt for such a type of investment. A peek into the performance history of a fund would give an insight on whether to invest in it or not. Gold is the most common investment in India. It has acquired the status of “safe haven” meaning any problem in the universe would probably increase its cost. Its investment term is longer compared to other investments. This category refers to investments which are totally different from the above investments. They are extremely specialized and require high knowledge about the investiture. Some models may be wine, art collections like paintings and sculptors, etc. The investment horizon is really large; usually in the range of 40-50 years.Likewise, on that point is no structural market for this which may lead to liquidity concerns. After recognizing the ingredients of a portfolio, an investor should also keep in mind the following things before going ahead with the construction operation. As an investor, you should recognize the extent to which you can gamble your money. This is a first step as the amount you are putting on the line should be in conformity with your financial goals. Never invest all your money in a single investment. 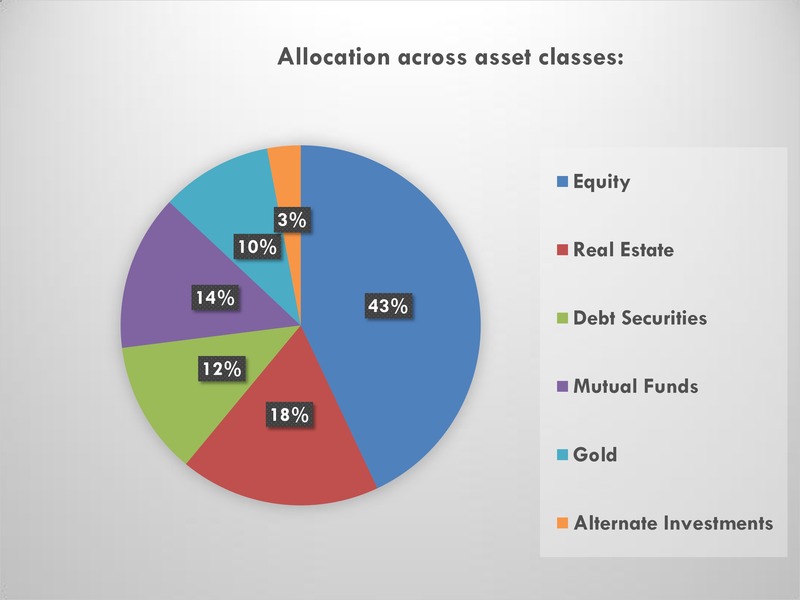 Diversify all your investments based on the class of investment. For instance, pick industries which you are familiar with and then look for 2-3 stocks in that diligence which you think might outperform the group. An investor should look at the general market sentiments in that particular investment before taking in any investment move.How others are looking at that investment is very important for young investors. It is not necessary to assign everything you have in a day or two. An investor should maintain his buying decisions in a range of days or months. For instance, when the equity market is in a range, investors should stagger at different prices instead of travelling all in at a single price. To conclude, a well balanced portfolio in desired risk limits should be reviewed time to time in parliamentary procedure to earn maximum from it.